The Battle for Azeroth expansion to World of Warcarft has been out for a couple of months now, long enough to play around with it, get used to its quirks, and discover some of its surprises. 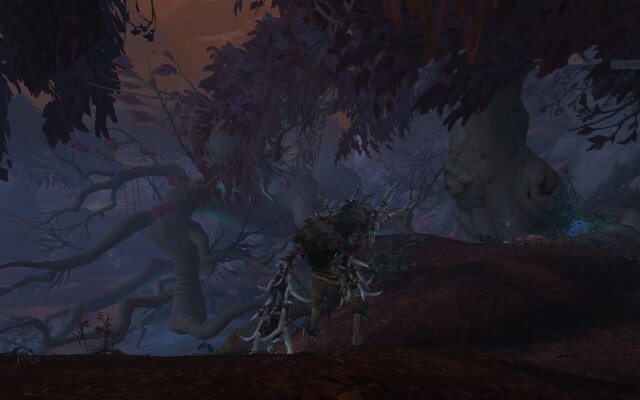 We have leveled up a few of our Alliance characters and just started playing through the Horde experience, so there are plenty of things we just haven’t seen yet, but here’s our take on what’s working, what isn’t, and what’s going on so far. It’s beautiful. All of it. The landscapes, the buildings, the gear, the skies, everything is visually incredible. Since Mists of Pandaria, really, the visual design teams have been improving with every expansion, but in BfA the terrains really shine. We still spend so much of our playing time just pausing to look at the artwork. The questline stories in the zones are great. We don’t usually read quest text too carefully, but this time it’s worth taking the time to see what the characters have to say. There are a lot of compelling and entertaining individual stories out in the world. The Tortollans are the best new NPCs in a long time—crotchety old turtle people who want to play games and tell you stories! They add some wonderful comic relief to the more serious events going on in the world. Boralus and Dazar’alor feel like real, living cities, full of people, with their own neighborhoods and back alleys and stories going on at the periphery of your adventure. 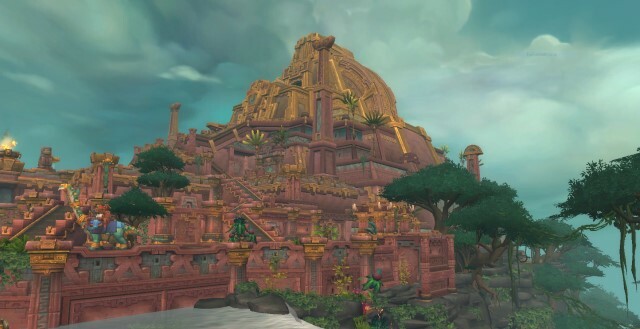 Boralus is the quasi-British age-of-sail/smuggler/pirate town of your fantasy dreams, and Dazar’alor is a gorgeous Mesoamerican-inspired city of living gods and golden pyramids. They are both amazing places to spend time in and hands-down the most successful built environments we’ve seen in WoW so far. The music is fabulous all-round. From epic and rousing to serene and unobtrusive, they all come with interesting real-world comparisons or sources of inspiration. The number of female characters in the storytelling has increased noticeably, and women are depicted as active decision-makers. Because even though this is a fantasy world, a lot of it is based on our real one and you wouldn’t want to be historically inaccurate. On the Alliance side, the combination of ferry stations and flight points is a great demonstration of world-internal logic at work, and it works really well from the UX (user experience) point of view. Do the Horde have anything similar? The mission table is back, stripped down and streamlined to just about the most efficient version you can imagine, but also feeling pretty pointless. There aren’t many followers to collect, the rewards are uninspiring, and getting War Resources to run the mission table is doable but tiresome. It doesn’t feel like compelling content, but it’s not a great drag, either. The Heart of Azeroth is a similarly stripped down and streamlined version of the Artifact weapons from Legion. It works just fine, but it’s not very interesting. 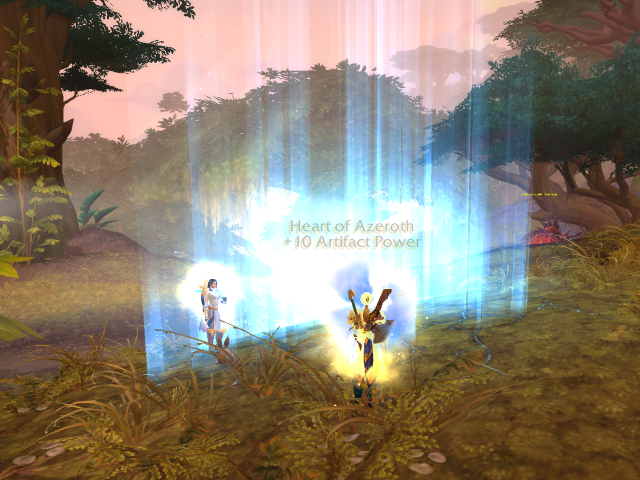 Leveling up the Heart of Azeroth with azerite is relatively painless, but there’s also nothing exciting about it. The azerite gear tied to the Heart of Azeroth is a mixed bag. On one hand, it’s fun to pick bonus traits and some of the perks can really make a difference to how your character plays. On the other hand, the gear is hard to get and clunky to use. Having to wait an indeterminate amount of time to level up your Heart of Azeroth before your upgraded gear actually becomes an upgrade doesn’t feel good. The two of us play together and we play strictly PvE. We’re not interested in doing larger group content or anything that even feels like PvP. This means that a lot of the new content this expansion—islands, warfronts, war mode—just isn’t for us. That’s fine, and we don’t mind there being content in the expansion that isn’t for us, but it does leave max-level content feeling a little threadbare. The faction conflict story is back. Again. There’s never been anything interesting about faction conflict and there’s still nothing interesting about it. Despite what Blizzard seems to think, “Horde vs. Alliance” is not the core of WoW. The core of WoW is beating up monsters and taking their stuff. We don’t need faction conflict to motivate us to go to Kul Tiras and Zandalar to beat up monsters and take their stuff. Just the fact there are monsters there who have stuff we can take is more than enough. If Blizzard really felt like they needed a story reason for us to go to these new places, having Jaina/the spirit of Vol’jin show up and say “Hey/Hey mon, there’s something strange in Kul Tiras/Zandalar and it don’t look good!” would be plenty. Not only is Blizzard pushing hard on the faction conflict this time, they’ve chosen to do so in a heavy-handed, aggravating way. On both the Alliance and Horde sides, players have been made to play through content that is needlessly cruel but unskippable. Fortunately, the actual content of Battle for Azeroth has very little to do with faction conflict, but that in itself is a problem. There are three narrative threads running through this expansion: the internal problems of Kul Tiras and the Zandalari, the Alliance vs. Horde faction conflict, and Magni’s attempts to heal the wounded Azeroth. None of these three threads is well integrated with the other two. While the Kul Tiras and Zandalari stores are compelling on their own, the faction conflict is annoying, and Magni’s planetary first aid is tedious and repetitive. It feels like Blizzard had three different ideas for this expansion, only had time to develop one, but tried to do all three anyway. Did they have to destroy Teldrassil? On balance, there’s a lot to like about Battle for Azeroth, and we’re certainly going to keep playing. At the same time, there are some annoying problems that are hard to ignore. Some people have speculated that Blizzard has an A team and a B team putting out expansions alternately. That may not be true, but there certainly are some aspects to BfA that remind of us of what went wrong back in Warlords of Draenor, when we got a beautiful new world to explore, but an overarching story best ignored and some poorly designed mechanics that dragged the experience down. Previous Article Allied Races, Here We Come! Im gonna have to disagree with you on the islands. Its a pve content, unless you make it pvp, which is why they have 3 pve modes and only one pvp mode. If one elects not to do several components of content, then there is no lack of content, but a lack of interest in the available content. We know there are PvE versions of islands, but they’re still group content. Even if the group is only three, that means grouping up with another person, and we prefer to play just the two of us. And even in the PvE versions of islands, the NPCs are designed to make it feel like PvP, which just turns us off. It sounds like you’re having a good time with the islands, and that’s great. They’re just not for us. Our play style is a very particular one, and that means that in every expansion there are plenty of things we don’t spend time on. This time around, most of what’s available to do at max level isn’t for us, but that’s okay. That just means that we’ll probably spend more time leveling alts and less time playing our max-level characters, and there’s nothing wrong with that–we’ve got a lot of alts to level! We have to correct the point on advancements, though–they may not require PvP, but they do require group content. I understand how one prefers to play with a significant other, but we cant forget it is a MMORPG, so things shouldnt shy away from group content. I actually prefer the concept of group content to solo content like Mage Tower. They are more designed like dungeon mobs that pvpers, and despite them only attacking seriously on heroic and mythic, and on normal you being able to avoid them at all, I get the point. Some days Princess and I are doing our own thing, and on others we do group things, and on others we go our separate ways doing whatever we felt like doing at that moment xD Just this week I helped a group of four newbies get the Twilight Drake mount by taking one at a time on my characters to the Obsidian Sanctum. It was quite fun. My point being, that as long as its something one feels like doing, one will have fun. Ive been ignoring azerite and whatever. Its nice that my necklace keeps getting leveled, but I didnt farm and grind AP in Legion and wont do it now. Ive barely used the mission table as well, it was designed to not be essential like in Legion and thank God for that. Still, you guys have plenty of things to do even if it is from other expacs. Legion dungeon achievements, secret mounts/pets, the awesome dune surfing achievements, balance of power questline for appearances, etc. its just a matter of doing what you feel like doing, even if its for a silly reason like “I wanna be there because I like the music” (Princess does this quite often). Ah indeed. She taught me to dont rush and enjoy every bit of the game. Music, landscape, or even animals around. Sadly, most of our friends and ex-guildies don’t play anymore, and those that do, do so on a very erratic schedule. Also, for myself at least, making new friends in-game takes too much energy from my already depleted introvert energy stash ATM. Perhaps I’ll give the islands a try some time after New Year’s if my situation improves.